I love working in The Cheese Shop. I can't ever get enough of the aromas. The cheese. The baking that my boss Charlotte does. Wish I could cook like her. She takes real pride in it. Not that we're a restaurant or anything. We're not. The Country Kitchen is across the street, and we would never think of competing outright. We just have some specialy items to lure people in just in case their scared of cheese, you know? Scared, as in, they don't eat much of it and certainly not cheese with funny names. When I first started working here, I wasn't so sure myself. I came from an Amish background. We ate Amish cheese, which is pretty plain. The milk is fabulous, but the cheese, just regular. Then I found Fromagerie Bessette and I fell in love. With cheese. Charlotte helped me understand some of them. The fancy ones. 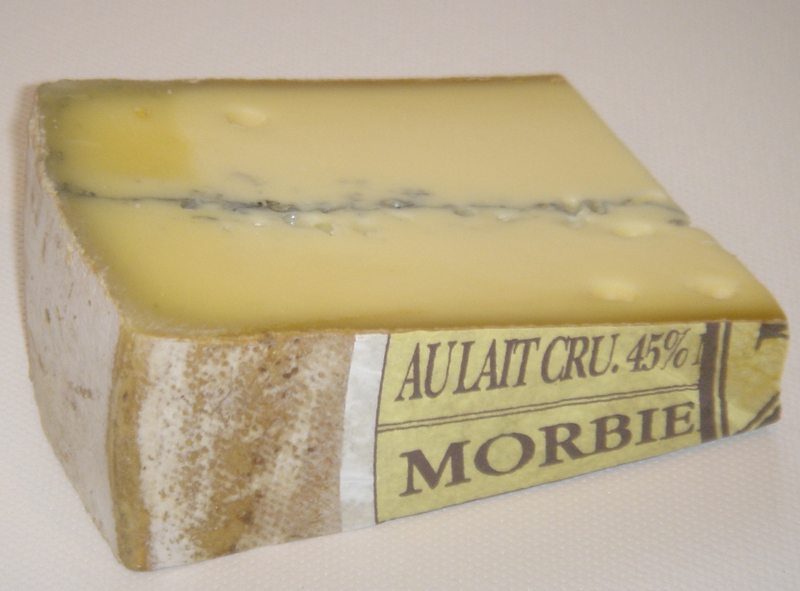 Like Morbier. It's made with two pourings of milk and has this ash in the middle. [I'm just now getting the hang of how to pronounce a lot of these French words.] And I like triple creams. So smooth and satiny. Oh, and I also like Manchego, that's a sheep's cheese that's nutty and firm and all around fantastic. And Humbolt Fog, a goat cheese that's sort of tart but fabulous. After being here a year, I started to experiment with food and cooking. I've made a couple of sandwiches that are pretty darned good. I love melted cheese in a sandwich. It's gooey. Messy. Growing up, I was never allowed to be messy. Except maybe around my grandmother. I miss her. She would be real proud that I'm working where I am. I mean, she probably would have liked if it I had stayed in the fold, as she called it, but I needed to spread my wings. Find out more about life. Try new things. Charlotte says that trying new things is important to a person's inner growth. She takes risks. I'm trying to be more like her. Have you ever tried something that you were dead set against trying? You know, a food, or a book, or going someplace you'd never been? Did you feel all goose-pimply inside? Nervous and such? What about anything dangerous? Have you ever tried something that, you know, might cut life a little short? 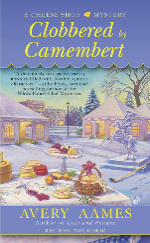 The first in nationally bestselling A Cheese Shop Mystery series won the Agatha Award for best first novel. You can learn more about Avery Aames by clicking this link or on Facebook and Twitter. And if you haven't done so, sign up for Avery's mailing list so you can learn about upcoming events, releases, and contests! 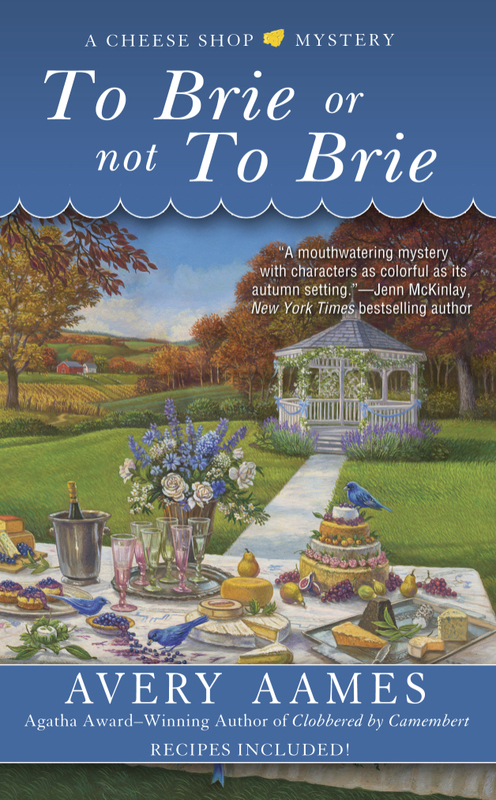 Also, Avery is the pseudonym for Daryl Wood Gerber...who has a new series coming out in July 2013: A COOKBOOK NOOK MYSTERY. Learn more about Daryl by clicking this link or on Facebook and Twitter. Lastly, take a peek at Daryl's short story, PALACE ON THE LAKE, in Fish Tales: A Guppy Anthology, which has been nominated for the Agatha, Anthony, and Macavity Awards. You're very courageous, Rebecca. My friend Haylee says I was brave for sticking around until our boss was tried and convicted for channeling funds from our client's account to his personal account. But I say she's the brave one--she went off and turned a quiet village into Threadville, which is anything but quiet! Nope, not a danger hound! But trying cheese?? I think I could do that. Hi, Willow, I know all about Threadville. How I wish I could come visit, but I haven't taken any vacations yet. I'm hoping to save up enough to take one soon. I love to sew, though I have to admit I like buying stuff online, too. Victoria, oooh, I hope you'll come visit Providence. I could give you all sorts of samples. I even bet I could figure out your favorite cheese. I have a knack for that. I think Charlotte is right. I'm not a risk-taker, but trying new cheese sounds like a great idea!